My husband loves sambar with literally anything even with Chapathi 😅. I saw this recipe very long time ago at Kannamacooks. Since it is done with freshly grinded masala I bookmarked it. 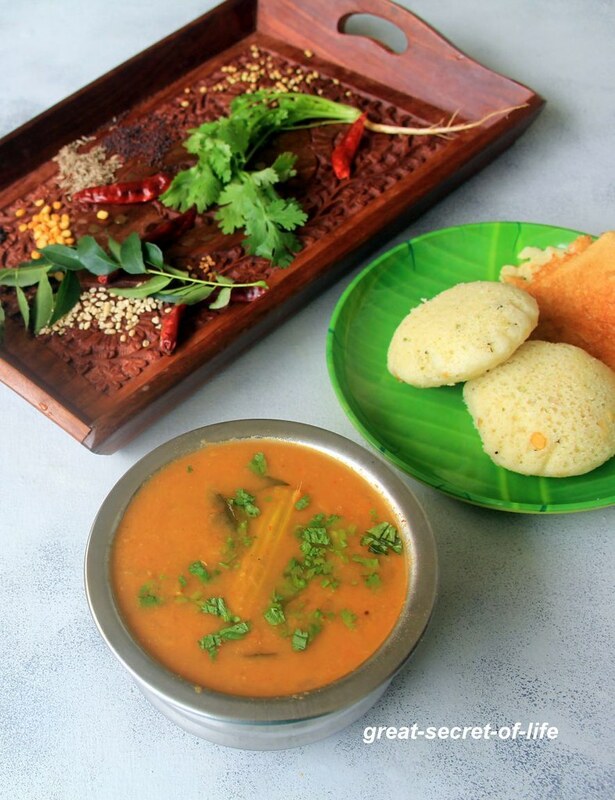 I have posted udupi sambar in my space before. 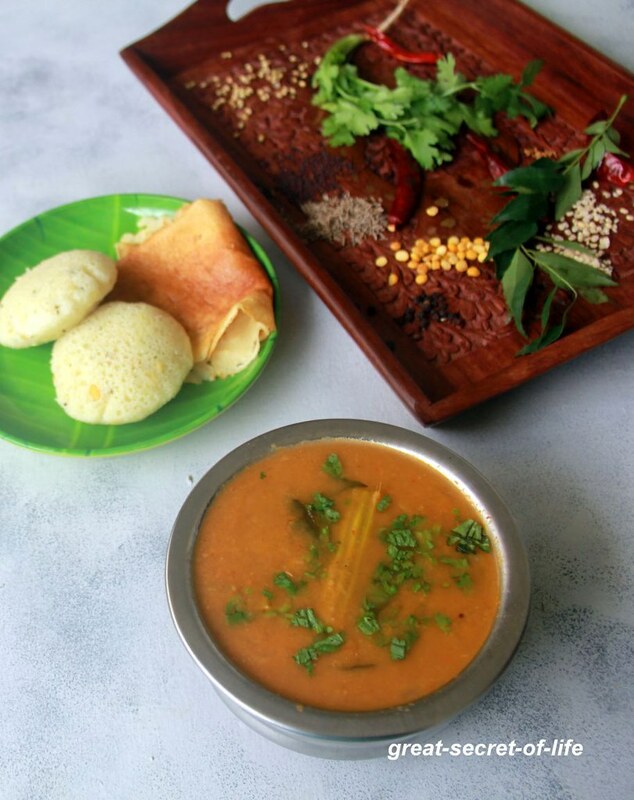 It is using sambar podi with fresh spices. So initially I thought this one would taste similar. To my surprise it tasted miles apart. I loved the blend of jaggery at the time of grinding the masala itself. Seasoning at the end really brought flavour. Also using sesame oil made the difference-. In pan add grinded paste, water(I have added 3 cups). Let it boil. Add cooked vegetables. Boil for a minAdd Cooked dal. Mix well. Adjust salt. Let it boil. Now let's do the tempering. Heat rest of sesame oil. Add mustard seeds let it pop. Add Curry leaves switch it off. Add Red chilli powder. Give a quick stir. Add this to hot sambar. And mix well. 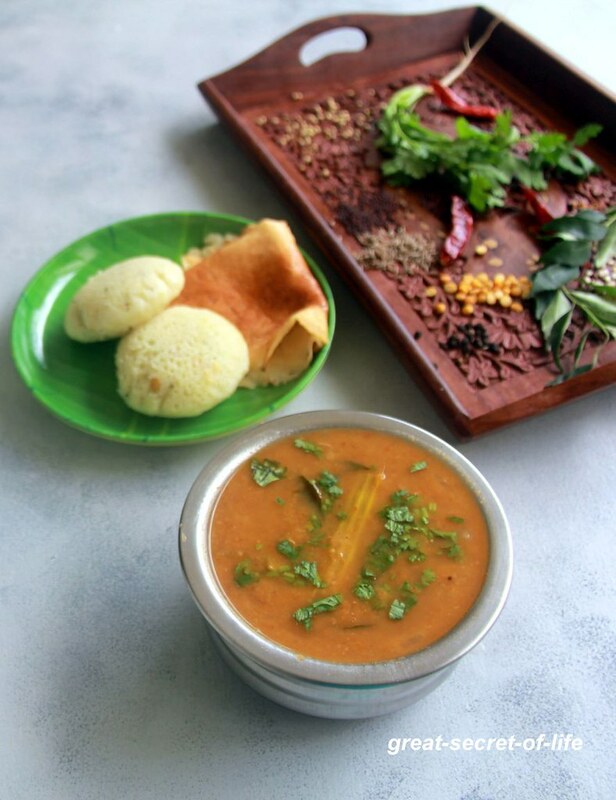 flavorful sambar..yumm with idlis !